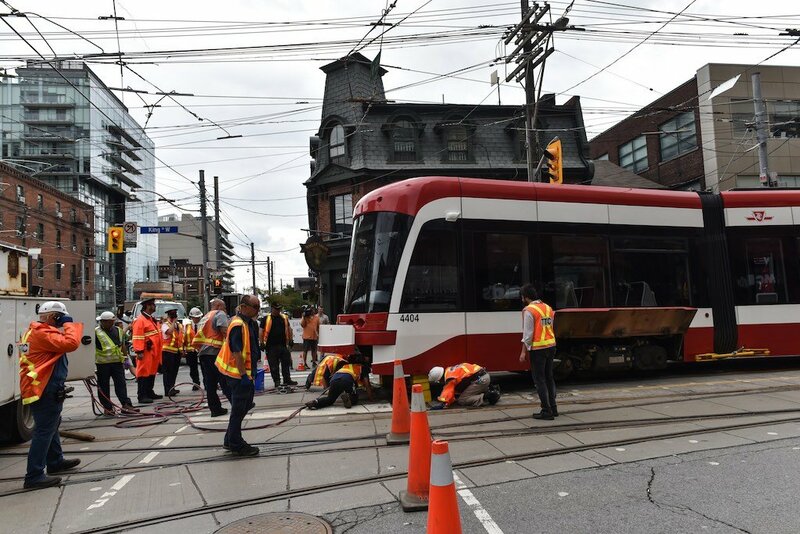 Late this morning, one of the new TTC Bombardier segmented streetcars derailed on King Street at Bathurst causing traffic mayhem for thousands. 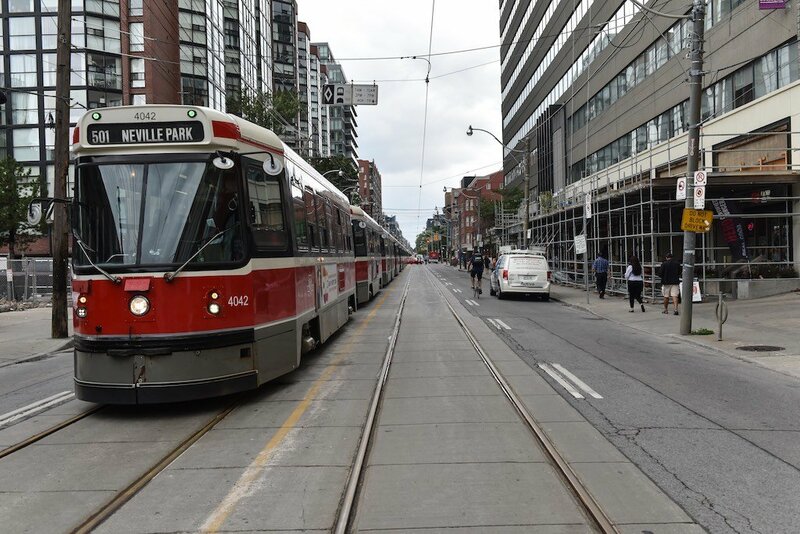 The debacle occurred when an old streetcar broke down and the new Bombardier was used to tow it. The ludicrous leviathan derailed causing a massive back-up with many missing appointments and late for work. Early reports suggested that “debris” on the tracks caused the derailment. This is only a small fraction of the troubles the TTC has faced with the Bombardier streetcar deal. Unprecedented delays have cost the city millions of dollars as Bombardier has been unable to deliver the new vehicles on a timely basis. 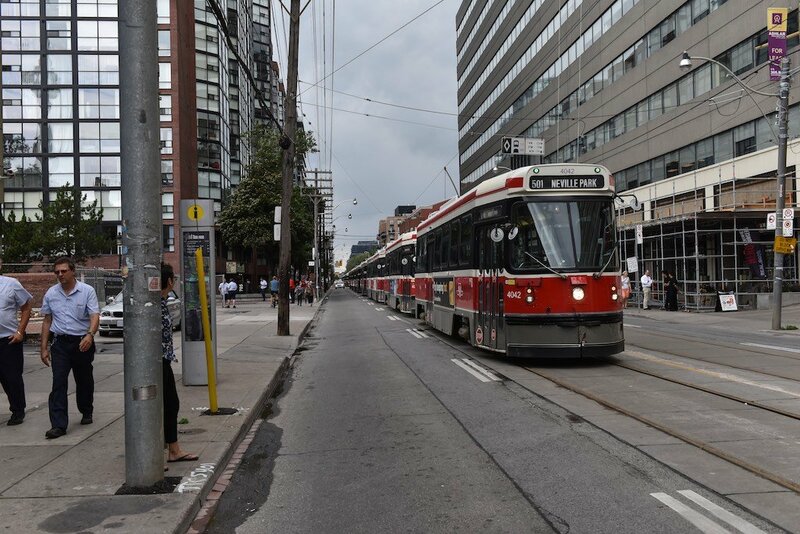 This has caused the TTC millions in keeping the old streetcars viable. We have to thank former Mayor David Miller, TTC Chair Howard Moscoe and Adam Giambrone in selecting Bombardier. This started back in 2006 when competition was shut out as the collective mindset of these city politicians thought that they knew better as it created jobs in Ontario. Siemens was not only shut out of the $700 million dollar streetcar contract; they were also shut out of the subway contract a few years later, even though their bids were hundreds of millions less! The Bombardier debacle is just one example of incompetence municipal and provincial government officials have made. The costs of these unilateral decisions are costing taxpayers millions and service continues to get worse. The Union Station reno was supposed to be completed by June 2015 and it’s still shrouded with tarp and scaffolding with no end in sight. It is estimated that budget overruns for Union will be close to half a billion. Other example of government ineptitude include the money losing UP Express and the Presto Fare Payment system to name a few. These are your tax dollars flushed down the toilet! This entry was posted in bombardier, streetcar, Toronto, transit, ttc and tagged Bombardier, Streetcar, Toronto, Transit, TTC. While I agree that political interference has hindered the TTC. 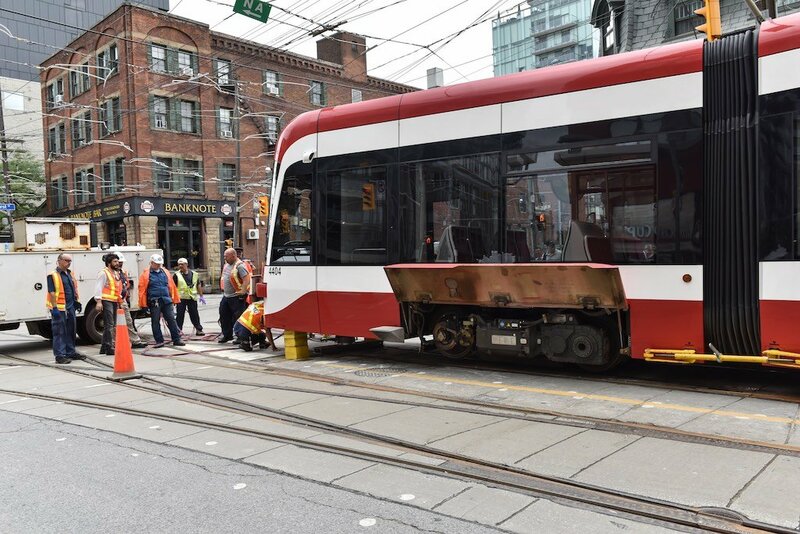 It’s unfair to lay the blame for this on the streetcars themselves. 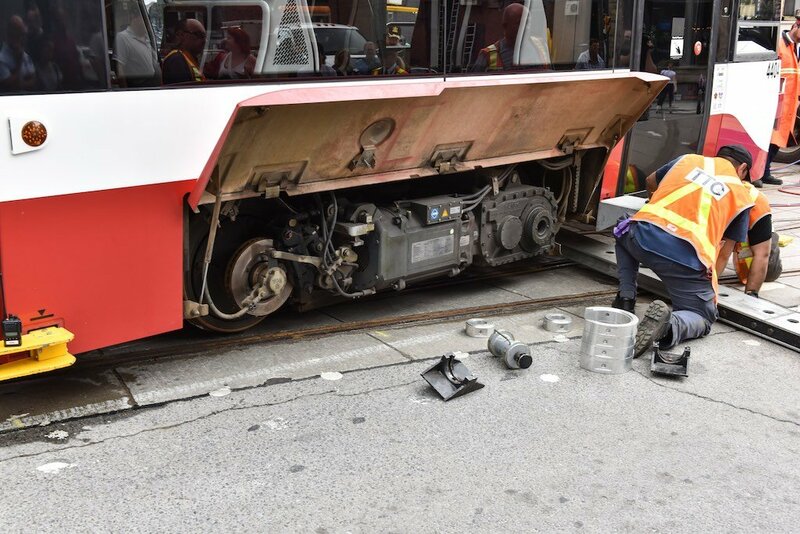 In fact we should be glad TTC management has taken a a firm stand on ensuring all delivered vehicles are in perfect condition. Sending back ones that have even the smallest of flaws. That being said Simons would have been a better choice. But the public tends to get angry when awarding contracts to none Canadian companies. Problem is that Simons planned to produce the streetcars here in the first place.